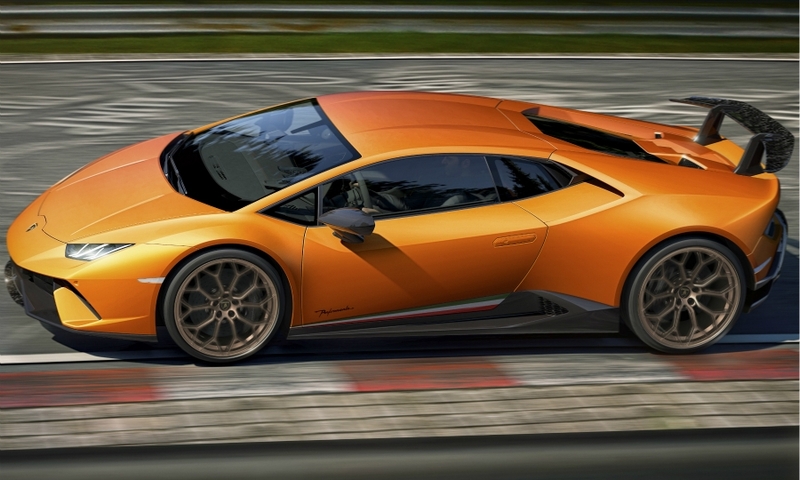 NEW YORK -- Lamborghini unveiled the latest in its line of Huracan variants, the Lamborghini Huracan Performante. 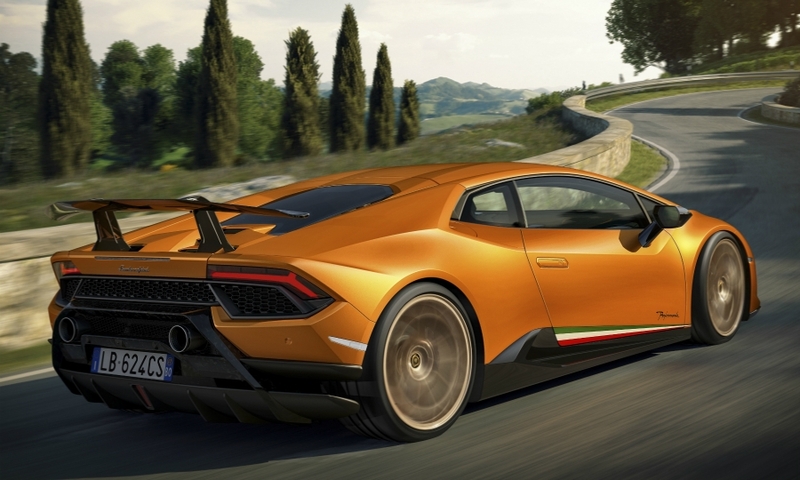 The Huracan Performante comes with more power, better Pirelli P Zero Corsa tires, a re-engineered suspension, and upgraded traction control over its predecessors. It has a 640 hp on a naturally aspirated V-10 engine and a more stabilized, lightning-fast seven-speed dual-clutch transmission. At 1382 kg (just over 3,000 pounds) it's also 40 kgs lighter than the standard-issue Huracan, thanks to even more of that special forged carbon fiber Lamborghini uses on its cars. 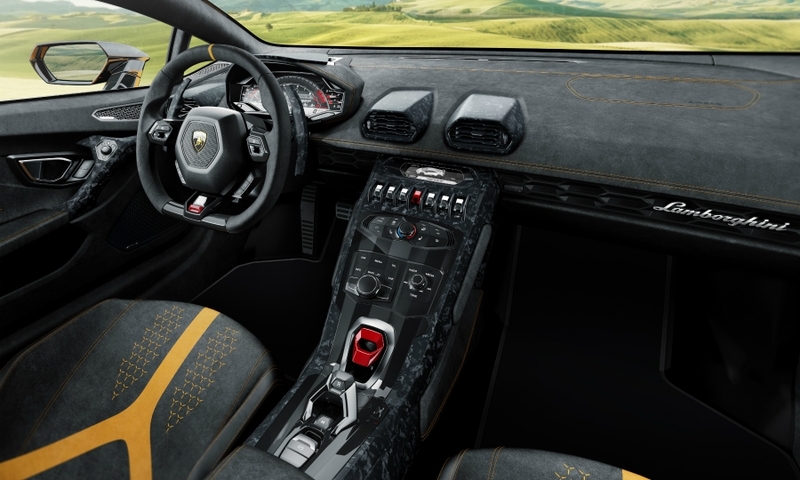 "This new car represents the powerhouse of Lamborghini DNA and innovation, and a 360-degree approach to creating class-leading super sports cars," Stefano Domenicali, the head of Lamborghini, said in a statement. "It illustrates the pinnacle of Lamborghini V-10 production car performance to date." Most important from an engineering standpoint in the Huracan Performante is a new system called ALA, which electronically opens and closes air intake vents at various points on the car to reduce drag and increase downforce. The idea is that this new technology specially makes the car significantly more precise in its ability to navigate super-high speeds. The improvements are more than working. 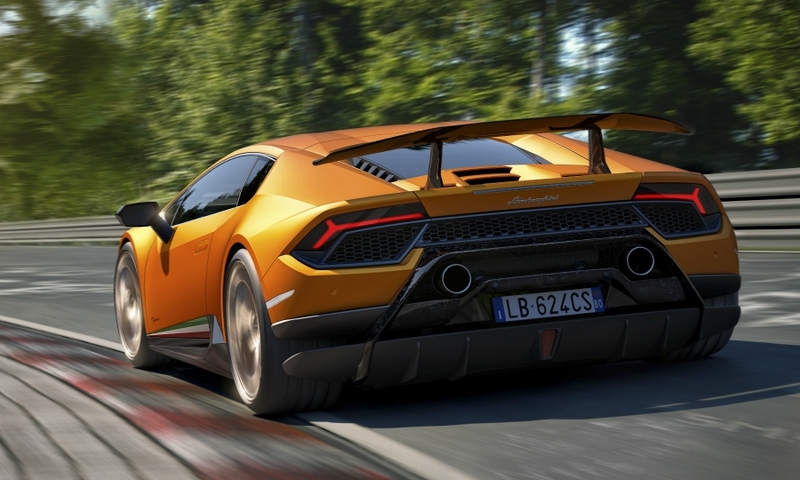 Last week news reports surfaced that the Huracnn Performante had set a new record on the Nuerburgring track in Germany, beating the previous production car record holder, the Porsche 918 Spyder, by five seconds and Lamborghini’s flagship Aventador SV by seven seconds. Lamborghini confirmed the reports in Geneva on Monday. 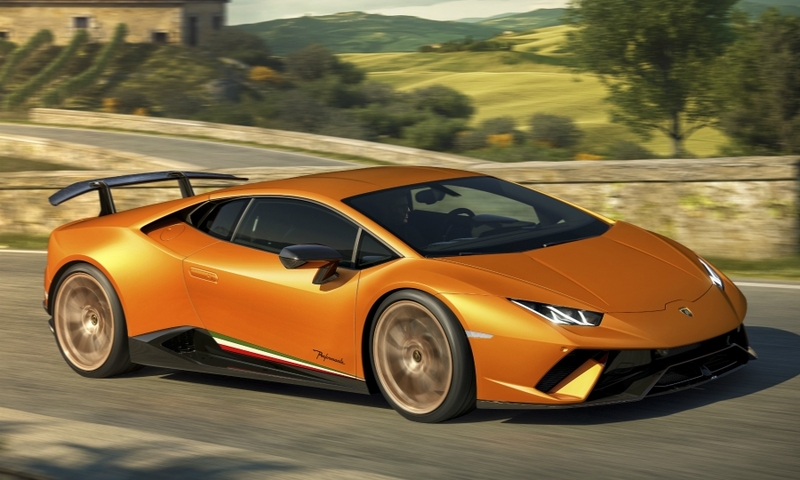 This advantage over the Aventador is especially interesting because the Huracan is considered the smaller, slower, most-accessible of the Italian brand's lineup for many die-hard Lamborghini fans, "accessible" means basic, which is not an admirable trait. But the Huracan is anything but that. 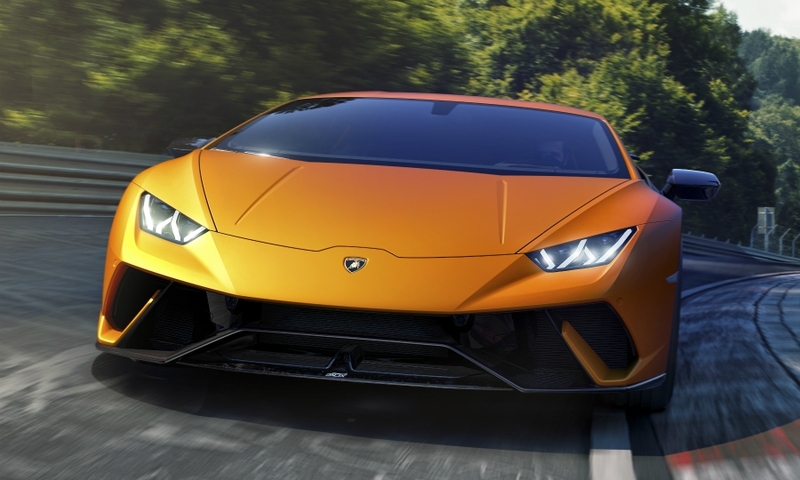 Lamborghini says the Performante, which has a permanent four-wheel drive system and electromechanical power steering, will hit 0-100 kph (62 mph) in 2.9 seconds. The Huracan Performante will go on sale in Europe in the summer for 195,040 euros, excluding taxes.